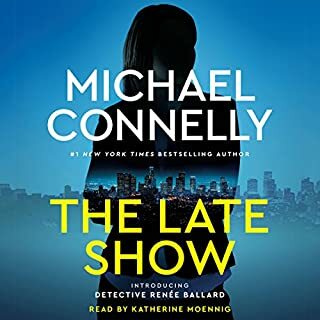 Meanwhile, an old case from Bosch's LAPD days comes back to haunt him when a long-imprisoned killer claims Harry framed him and seems to have new evidence to prove it. Bosch left the LAPD on bad terms, so his former colleagues aren't keen to protect his reputation. He must fend for himself in clearing his name and keeping a clever killer in prison. Solid storyline. 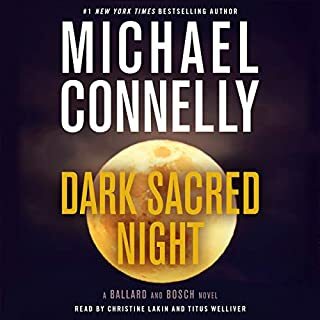 Definitely well within the formula, but has enough wrinkles to make it interesting for those who've read all the Bosch stuff. Would have liked the Russian sub plot to be a little deeper, and the guy out the plane was never explained. 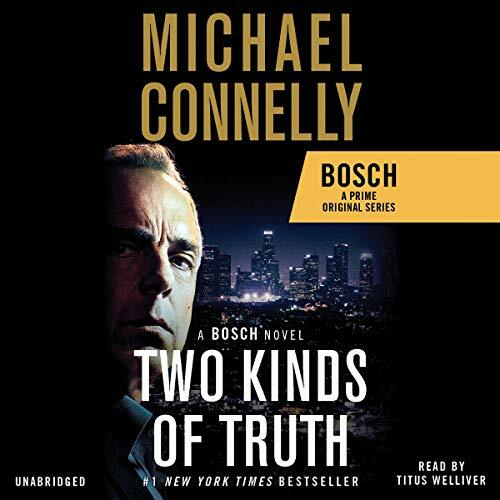 I have read and listened to a couple of Bosch stories and have enjoyed the narration and the story. I'll most likely listen again. This was my first crime novel that I experienced. I was immediately blown away and completely immersed in the story. Titus does a fantastic job bringing the story and the characters to life. 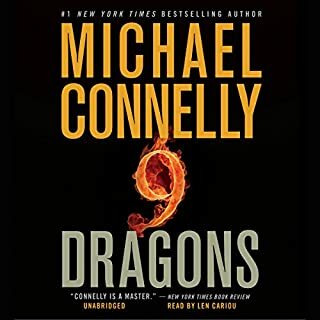 I look forward to checking out Connelly's other novels. I always feel grateful for some reason . Perhaps this will make sense to a few and will encourage you to want to explore the world of H. B. The story was very well written & I learned a lot about the opioid drug problem in the US (& likely Canada). It was fast paced and descriptive and while hard to read about the underbelly of our cultures, it was a great read. 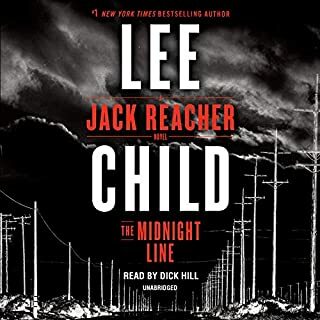 The narrator was awesome and I look forward to more novels in this series and with this narrator. 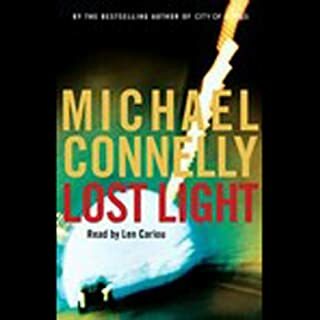 This time Harry Bosch goes undercover as an addict hooked on painkillers to catch a couple of murderers. At the same time he is trying to fend off an insinuation of planting evidence in order to convict someone many years ago. The case against him is so good that his old partner and even his daughter wonder if the accusations are true. It looks like the man he sent to death row is going to be released and exonerated after many years languishing in prison. 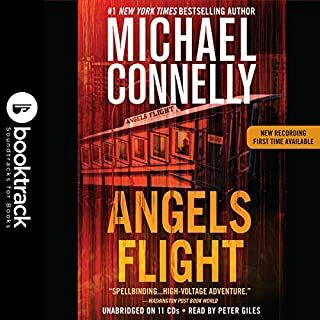 This is the first time Connelly has put Bosch on an extremely dangerous mission. In this engaging listen the two unrelated cases intersect and Harry almost loses his life over it. As always mysteries get solved, but while Harry is good, he needs help from other characters to see clues and resolve the cases. 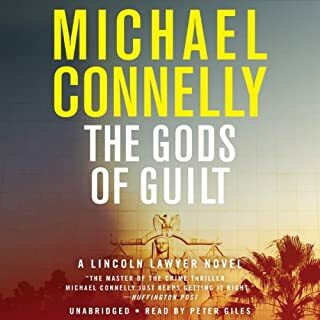 For all the Lincoln Lawyer fans, Harry gets some help from his half brother in defending himself on his old collar of a murderer. Someone heavily criticized the narrator of this book and I don't see it - for me Titus does a superb job. I guess there are two kinds of truth for all of us. Harry, Mickey and Jerry=bases loaded! You don’t have to be a long-time fan of Bosch to get into this double story line. The back stories blend well enough into the current story lines that new fans can get into the groove of being a Harry fan. What is so great about this book is there are characters fans have enjoyed over the years and all fleshed out in a way new fans will get it. Longtime fans will get to know them all a little better. My one disappointment in the story line is how little Maddie was flashed out as her character grows into a young woman who has been shaped by a father who isn’t always perfect and owns it, isn’t ashamed to admit his faults to his daughter. Maddie has always brought a more mellow edge to Harry and I missed that in depth interaction in this story line. That said, the story lines over all are home runs all the way. 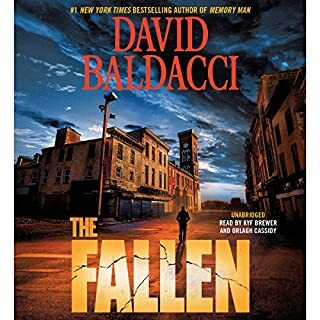 Social current events addressed ---the devastating nightmare of opioid addiction---- without being overly preachy gave the story line a more realistic feel and I hope it gets into a story line in the Amazon series! The love/hate --working from both sides of the law-- struggle of the half siblings is evident in a deeper fashion in this story line than ever before. I am sucker for Harry and Mickey in the same story line, always. 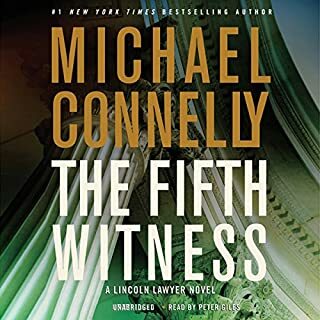 Titus Weller --as always-- nails the narration and his narration of Mickey, slays me in the way he has seemed to find a way to convey a the -airtight-alright-alright-laid back easy going feeling to Mickey that Mathew brought to him in the movie adaption of the Lincoln Lawyer. Both characters being voiced by Weller….makes it feel even more familial, gives more depth to both characters over all. Maybe soon someone will see fit to put Titus and Mathew together in the Amazon series! 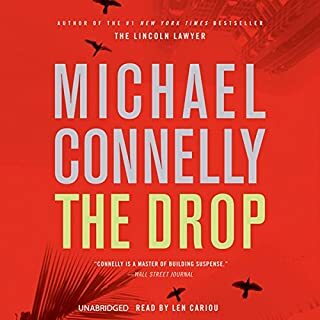 The story itself is good and I especially like that in Harry Bosch's retirement Connelly gives us multiple story lines. In Two Kinds of Truth we are also treated to visits with Maddie, J. Edgar and Mickey Haller. Both stories are interesting and play out well especially with the characters from Harry's past. I think Titus Welliver has finally hit his stride and now does a good read of Detective Bosch both when he is on and off duty. What is bad are the unnecessary music transitions denoting chapter changes. I just get into the book and then superfluous music creeps in. I wish Hachette Audio would do a listener poll to learn if listeners find this distracting or find it enhances the story line. What is ugly are the audio edits. Clearly there are multiple points where Mr. Welliver had to reread a line or two and the producer did a bad job of getting the timbre and pacing of the actor to match the overall read and the audio engineer did a horrible job with the edit. Perhaps we are only meant to review the content but when we pay for a performance I think it's fair and responsible to critique the technical quality as well. If it weren't for the intrusive music and poor editing I would give another star so if you don't find either of these bothersome I think you will very much enjoy Two Kinds of Truth. 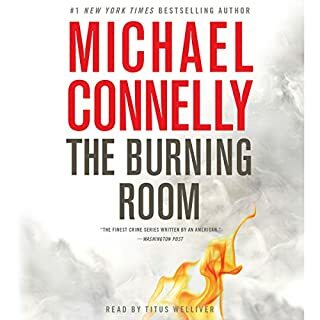 Writing for the screen version seems to have re-energised Connelly, and it's easy to imagine Titus Welliver drifting sardonically through these bleached-out urban and desert landscapes where a lying president, Russian bad-guys and a failing underclass are very much live issues. Welliver has become Bosch in the way that Suchet has become Poirot, and effortlessly handles playing both 'himself' and the variety of other characters he encounters. Have read and loved all 20 Bosch books. This one had great plot lines and was very will executed. It is a real treat to hear Titus read. I still love this series, but I miss the relationships he used to have with his team. There is hope for more with the SFPD, and I hope he becomes less cynical. I also would like to see more of him with Holler, minus the negative twists. Good book. Good read. 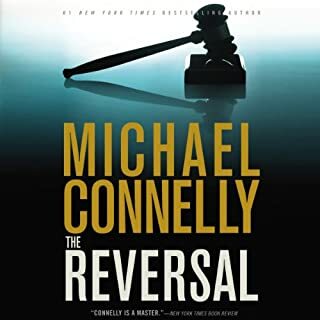 Ok, maybe it's Michael Connelly who is getting better. Harry's role in the lives of those he loves and in his pursuit of... something, continues to grow in the latest installment. Read in order, the story is always building. I enjoyed the banter, the conflict, the intrigue and the story. Hmm, looking at how little I am writing makes me consider something, the book speaks for itself. I could just say read this one. Enjoy as I did. 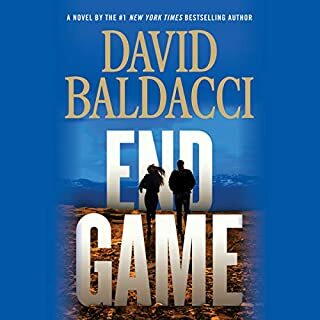 I had a long trip and wanted a really engaging story to listen to while I drove. 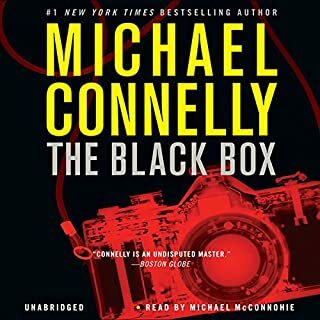 After loving two recent Harry Bosch audiobooks, I opted for another, and I was not disappointed. 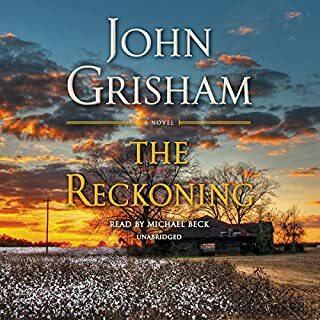 It was a very good story along with great narration and a character I love, and this novel made my time behind the wheel fly by. In this book, Harry is at the end of his career and working cold cases for the small San Fernando Police Department. But a rare double murder gets the chief to put the experienced Bosch on the case. Meanwhile, in an unconnected case, Harry is accused of planting evidence to put a man on death row 20 years earlier. 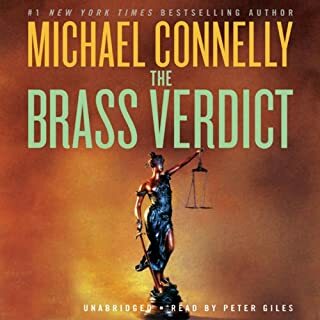 Against LAPD resistance, Harry (with the help of his half-brother lawyer, Mickey Haller) tries to clear his name and keep a guilty man in prison. The old case is a great story and the new murder is good. 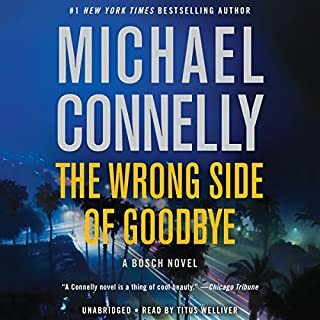 These recent Bosch novels are Connolly's best. It has been a long time since I have enjoyed police mysteries so much. Harry is a more likable character, and Connolly's writing is tighter, too. This novel is part of the Bosch series, but is a stand-alone story. Harry Bosh is back and will not disappoint you. The book is a fast paced great read with two stories entwined. 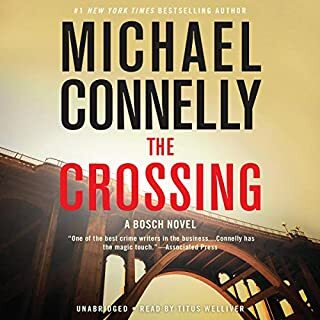 A very solid and intriguing plot with great character development and sharp dialogues.Bosch is the best fictional detective around.